The RJD leader was seen lip-syncing to Modi’s 2014 campaign speech. 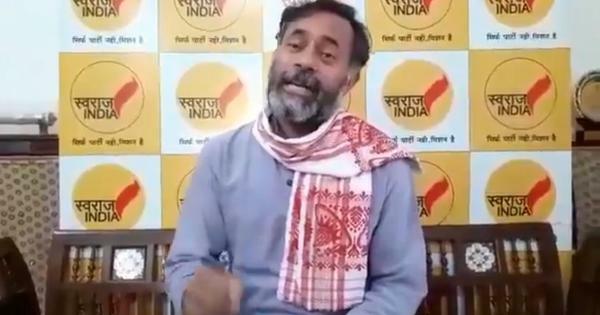 Amidst the ongoing Lok Sabha election campaign, the Bihar politician replugged an old video in which he was seen lip-syncing to Modi’s slogans from a 2014 rally speech. “Muft mein lelo 15 lakh, acche din aur jumla,” read the caption for the dubsmash video posted on his twitter account, referring to the promise to deposit Rs 15 lakh in every citizens account Modi had purportedly made during his previous campaign. The letter came after the Supreme Court dismissed his plea for bail in three fodder scam cases. The Central Bureau of Investigation said that Yadav had been carrying out political activities from the hospital he had been admitted to after complaining of diabetes, blood pressure and other ailments.